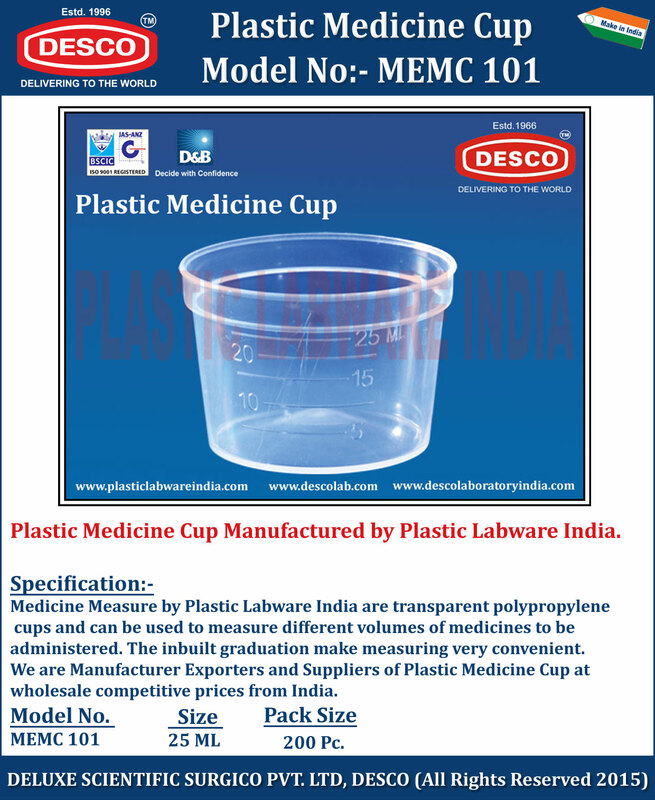 Medicine Measure by Plastic Labware India are transparent polypropylene cups and can be used to measure different volumes of medicines to be administered. The inbuilt graduation make measuring very convenient. We are Manufacturer Exporters and Suppliers of Plastic Medicine Cup at wholesale competitive prices from India. MEMC 101 25 ML 200 Pc.